Windows 10 automatically puts your system into sleep mode if you did not use it for more than 30 minutes. When a PC is in sleep mode, Windows saves your machine state like opened files and programs to memory and then cuts the power to unnecessary hardware like processor, hard disks, case fans, etc. This is great because it saves power consumption and may even prevent unauthorized usage if you forgot to lock your computer. When you wake up the computer again from sleep using a mouse or keyboard or by pressing the power button, it will resume from the last session. However, if you want your PC to do something while you are away, like downloading a large file or processing a video overnight, the automatic sleep on Windows 10 can be a hindrance. After all, nobody likes to see their PC sleeping while you intend it to work long and hard. In those situations, you can easily turn off automatic sleep on Windows 10. The settings app has relevant options to turn off automatic sleep. Follow the steps below to disable automatic sleep. 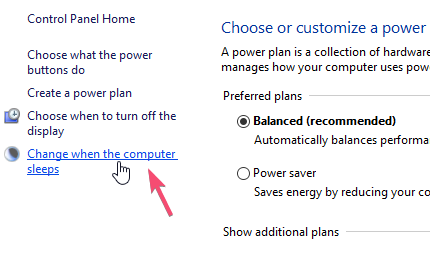 Go to "System -> Power and Sleep" page in Settings. On the right panel, select "Never" from the drop-down menu under the "Sleep" section. The changes are saved automatically. From now on, Windows 10 will not go to sleep automatically. As an alternative, you can also turn off automatic sleep from control panel too. Along with Windows 10, this method will work on Windows 7 and Windows 8 too. 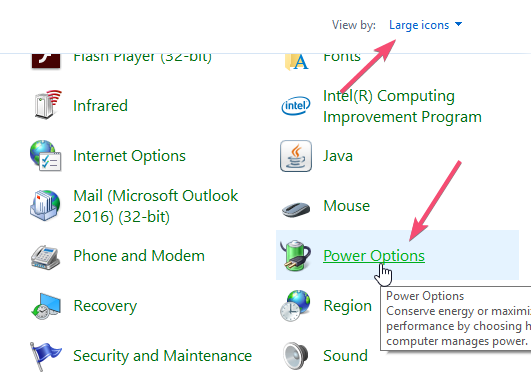 Select "View" as "Small icons" or "Large icons", find "Power Options" option and click on it. Click on the link "Change when the computer sleeps" appearing on the left panel. Select "Never" from the drop-down menu next to "Put the computer to sleep". That is all. You've successfully stopped Windows from going to sleep automatically. Does Windows 10 Use Hybrid Sleep? 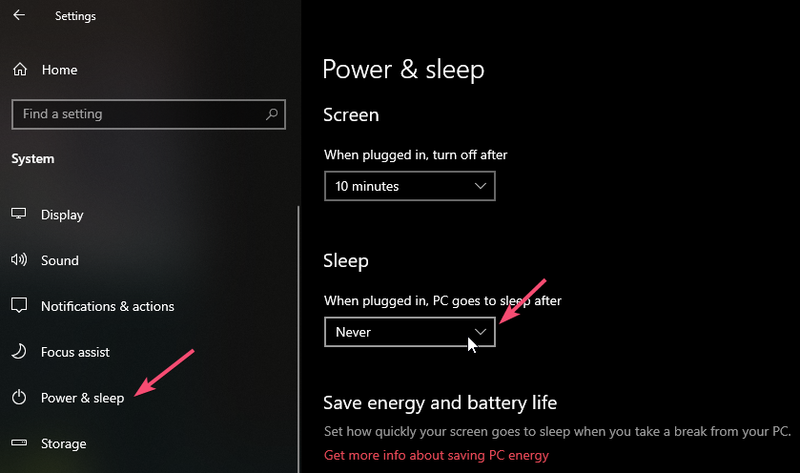 Yes, Windows 10 uses hybrid sleep instead of the regular sleep mode. In case you don't know, while the regular sleep mode saves your machine state to RAM, the hybrid sleep saves your machine state to both RAM and hard disk. The advantage of using hybrid sleep mode over the regular sleep mode is that even if you fully turn off your computer. i.e, unplug it, you can still resume the previous state as the machine state is saved to your hard disk. This is not possible with the regular sleep mode because as soon as you fully turn off your system, the contents of RAM are lost due to power loss. As most of you know, RAM is a volatile memory which simply means that it needs to have constant power to retain stored information. If you like this quick and simple tips, you might also like how to open a URL using task scheduler and how to take ownership of a folder on Windows 10. Do check them out.